There has been a lot of discussion of cost for star parties. Some folks have suggested that it is a bit strange that people have spent thousands on telescopes and then complain about the cost of star parties. But I know that it is possible to drop a bit of change and then have no more to spend. So, what are some budget/no frills star parties and good observing locations around the country? Are you referring to the cost associated with travelling to national star parties and staying for multiple days? The star parties I host and typically attend with my local club are always free. Edited by zakry3323, 18 January 2019 - 05:43 PM. If you're looking for something local to you, there are two in the Tennessee area. Pickett State Park has two "major" parties a year and also does monthly programs as well. In 2015 they were named a Silver-tier International Dark Sky Park and I went to their first event, but since I moved away I haven't been back. The other place is Fall Creek Falls State Park, however I'm not sure if they are doing them anymore since renovations were being conducted. The only cost for this one is lodging. I suspect low/high cost is difficult to define. A lot here are based on a camp site. Now it may be age (almost certainly) but no way would I be comfortable in a tent. If I had a camper (RV) then OK, a cabin or whatever even better. Now the tent option is least cost, but not for me and so cost rises. What facilities are expected, does cost include food? If so then where does the food come from - self catering or at a diner of some variety each night. Do people expect some other activity other then you going out and looking through your scope each night. Coffee, tea, soup, snacks, socialising area. Even an area to buy/sell/swap bits. Do you want someone just managing people and directing cars and people, this really makes things easier and run smoother. Trouble is one person is not enough, 4 or 5 are needed. My fear is a basic low cost star party would get poor comments, even if it went pretty well. We seem to expect more these days, and more unfortunately costs. And if it doesn't cost then eventually no one does it and the star party folds. I suspect that you have to look at cost and look at what is additionally offered or available. I have been to some and never looked through a scope. Totally enjoyed myself but peering down/through a scope didn't always come into it. Suppose you have to decide if for whatever cost it was reasonable, if maybe more features preferred then expect a bit more cost. It is a balance. Along similar, there is an Astro show here soon. Every one complains the venue is a bit small. If it moved to bigger it would cost more, people complain and less attend, retailers would get charged more, less attend and people complain. Result would be higher cost to organisers, higher cost to us the public, and ultimately less attendance and it would all fold and once they relocated they would not get back to the present one. So ultimately maybe it is a victim of its own success, but it is where it is and really has to stay. And people have to squeeze in a bit. Can you give an example of a high cost star party? I can't think of any. Cost of admission? I doubt that is the issue. 1 day travel, cost of camp site, bring your own food, = medium? Attending local astronomy club observing night ? Typically free. All depends on what you include in the cost. The star party itself is probably small compared to everything else. But the contest itself is typically $40. See the previous thread where others are winging and whining about star party cost. I was just hoping to start a thread on CN for those people. I just do not have time for a discussion of every cent that goes into this. I am on my way out to a dark sky location to observe. In that case, this unfortunately doesn't seem to be a useful thread. Have a nice trip! The Delmarva Stargazers used to have (as of 2105) a no frills star party in October but that may no longer be the case. Well, I'll take a shot at re-directing(?) this thread back to its starting question. I've only attended one real star party, the Nebraska Star Party and I've attended 6 straight years. I'm defining a star party as a gathering of astro-geeks that is opened with invitations and has an organization in charge of the event. I make money at the swap meet held one morning each NSP and by selling astro gear in the evenings as we wait for darkness to come. Anyone is welcome to swap and sell and it is quite fun. I realize most people don't look at star parties as business opportunities, I've just found a way to finance my hobby and others could too. I've tried to encourage people to mix their astro purchasing (new or especially used) with star party attendance. It eliminates the buggaboo of expensive shipping and lets people try before they buy. Edited by kfiscus, 20 January 2019 - 12:50 AM. Some time ago there was a club, I think it was in Kansas, that hosted the "Caveman Star Party" They provided only the dark site and the attendees were responsible for their own food, lodging, power, etc. There was no cost to attend and if you lived close by and if you slept in you car, skipped bathing and ate bologna sandwiches and chips, and had a case of D size batteries...is was pretty low cost. There is no free ride.....all star parties cost something so you have to decide how much cost is right for you. It has been said..... "If you spend nothing you get nothing". Where do Cavemen go potty? For a few bucks more they could use porta-potties……and that is what people do when they go to organized star parties. Cost a little more, but it is worth it. So, net net, is that Star Parties, even the big ones, are not expensive. It is the travel and living expenses that add up to significant money. That will be true even if the star party is free. Star Parties in general are pretty inexpensive. You have to eat no matter where you are and pretty much all have camping. And the cover charge is usually pretty cheap. I just sometimes wish some of them didn't have swap meets and vendors. That's what costs me the most !!!!!! Edited by tag1260, 24 January 2019 - 09:31 AM. The original question asks us to list low cost star parties around the country. The point of those posts that do more than just list the name and location of the star party is that pretty much EVERY STAR PARTY IS LOW COST. Most star parties just cover the cost of the porta potty, space rental, insurance...….and such. Many club start parties around the country are FREE. Even the big regional ones like Texas, Winter, Stellafane, etc. are really nominal, considering they are week long (or at least multi-day) adventures. So, asking for a list of "low cost" star parties is like asking for a list of star parties. The cost of hauling your scope out at night is much less than the cost of the scope itself. Seriously, this thing has been beaten to death in several threads lately. Bottom line......Each person needs to decide what it is worth to them. For me I think week long star parties at dark sites like TSP and Okie-Tex are great values and I go to as many as I can squeeze in. The rest of the time I travel to dark sites like state parks and public lands to escape the horrible light pollution that keeps my back yard from being a good observing site. I have a group of buddies I normally go out with so there is "safety in numbers" and more fun than going by myself. Check your local astronomy club to see where they observe...If you like where they go you can hang with them...probably for free. Edited by CCD-Freak, 24 January 2019 - 04:54 PM. there are a couple of informal star parties at Calhoun County Park in WVa near Parkersburg. If you are referring to me I am not trying to be difficult or snarky but it is up to the individual to decide what they want to do and how much they want to spend doing it. When traveling to areas I have never been to I research the area looking for possible places to observe and then check with the local astronomy clubs to see where the locals go. Many clubs have club observing sites and most will gladly welcome visitors. The HAS in Houston, TAS in Dallas and the FWAS in Fort Worth all have nice observing sites and there are more. Some of the State Parks and Historic sites here in Texas have public star party nights and access to dark skies. If you come to north Texas I would be glad to meet you and take you to some of my favorite sites. (weather permitting). The UNT Rafes Urban Astronomy Center has a monthly public star party and they have one of the few 6" Unitron refractors still in operation. 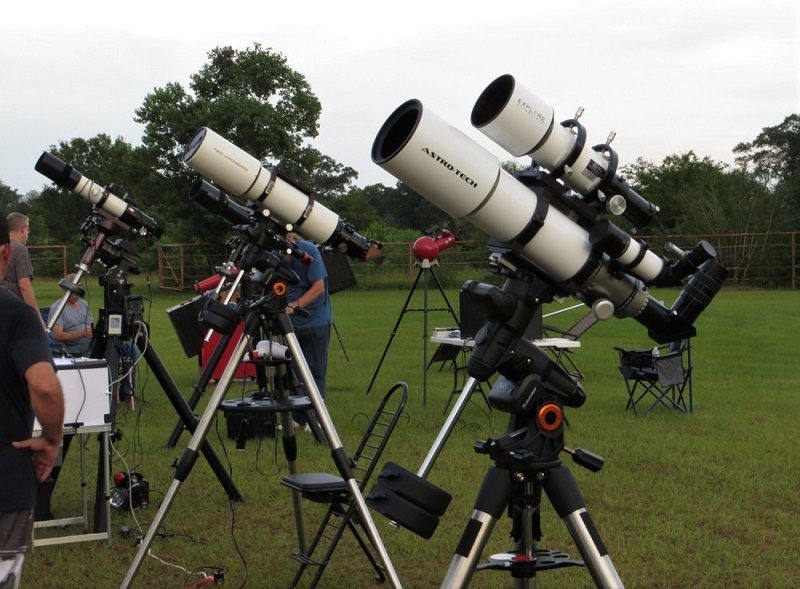 The George Observatory at Brazos Bend SP has star parties on a regular basis and McDonald Observatory has nightly star parties at the visitor center. Almost anything one does these days will have costs involved so one has to look for bargains. Edited by CCD-Freak, 24 January 2019 - 06:27 PM. I see requests quite often under the "general astronomy" Forum for people announcing they are taking a trip somewhere and would like to know about observing and Astro events in the area they are travelling to. It would probably be more effective, and organized if you asked on an as-needed basis. When you do, I would suggest you specify generally where you are going, and when. That way, you will get a more customized answer. If there are several threads on a similar topic, that is OK. If you want to post a cross link, that is OK. But they all operate individually and stand on their own merit or the level of interest. No one seemed to be able to come up with an expensive star party. They are all low cost. As for travel and living expenses, that will be very much an individual thing. I would not count them into the cost of the star party. I know this has been brought up before but is the purpose of this topic to address lower cost star parties or lower cost observing opportunities? I think we are mixing up different topics so the posts are all over the place. To me a star party refers to one of the big multi-day events. I have a hard time imagining how they could be any cheaper considering the expenses to be covered and the fact that they are predominantly manned by volunteers. Nobody makes a profit on organizing these events. Unless you are a local the biggest expense tends to be travel which the organizers have no control of. I have to agree that this has been beaten to death and most of the complaints amount to griping. I think of small gatherings organized by local clubs or groups of friends as observing sessions though some call them star parties. Obviously, this is causing a lot of confusion. Little or no expense is involved other than travel and food or drink that participants bring. If a long trip is involved the cost can rapidly approach the cost of attending a major star party. Of course there don’t tend to be any facilities other than a place to set up scopes. These offer lots of opportunities for ‘low cost’ observing in a small group. Is this the purpose of this topic? If so it should be properly labeled and I’m sure lots of folks have lots of recommendations. I have some myself. Not trying to be difficult but we really need to know what the purpose of this topic really is so we aren’t so all over the place with responses. Okay guys, this thread is locked pending moderator review. I was about to start a new thread (which I still may do) but I first wanted to add some information here relative to "Lower Cost Star Parties". I founded and direct/manage two star parties, the first being the Deep South Star Gaze (formerly the Deep South Regional Star Gaze) and the second being the Deep South Spring Scrimmage. 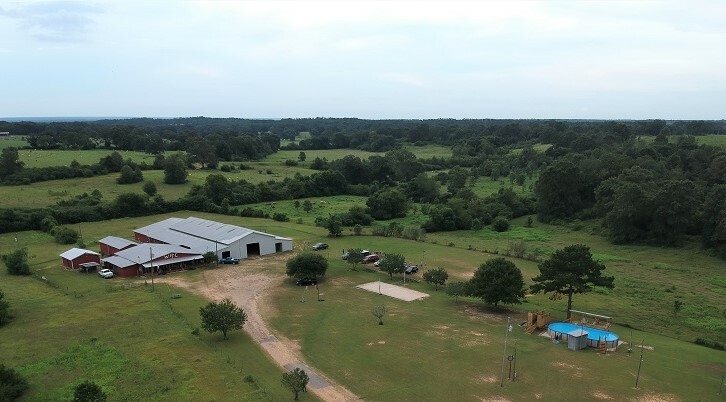 The Deep South Star Gaze got it's start way back in 1983 at Percy Quin State Park near McComb, MS and the 36th Deep South Star Gaze was just held last November over 5 days and nights at the White Horse Christian Retreat Camp near Sandy Hook, MS. It is the more expensive of the two so I will withhold further comment about it until the end of my comments. The second star party is the Deep South Spring Scrimmage. It was started about 10 years ago to serve as a compliment to the DSSG being that it is held 6 months away from the first, either before or after depending upon how you look at the calendar. The Spring Scrimmage differs from the DSSG in that it is shorter - 3 days and 3 nights and it has no registration fees and it has no vendors or scheduled programs. It is essentially the "no frills" version of the DSSG. So, as I said we have no registration costs for the Spring Scrimmage. Your costs will be $35 per night for a bunk in a bunk house with heat or a/c depending upon outside conditions and with nice bathrooms with showers. Each bunk has a mattress, you need to provide either a sleeping bag, or other bedding plus a pillow and whatever you need to function in the bathroom (toilet paper and paper hand towels are provided). There is a nice main hall with tv, there is also a game room and quite possibly we will once again have snacks at night - burgers, hot dogs, chips, etc. You pay for that as needed. For your regular meals you can haul in what you need, or you can eat off site. There is a very popular place about 3 miles away, the "Country Diner" which always has a good crowd and good food at reasonable prices. There are electrical connections on site and you can dry camp with your camper or rv (there is a charge for that). Dates for the upcoming Spring Scrimmage are set at Thursday, May 2nd to Sunday, May 5th. Someone driving a distance can very likely come in a day or two early. Our dates do conflict with TSP, but some from our area or from locations east of us may not have the time or the money to get out to west Texas. We offer good skies at a very reasonable cost. Basically you pay for housing and you pay for food. The sky, and hopefully our good humor and fellowship will provide the entertainment. Note - the fall Deep South Star Gaze is our main event, later this year will be #37. It will be held from October 22nd to the 27th. Main difference being that it will have more attendees and we will have a registration fee which we use for expenses for both events and for door prizes in the fall. I can provide anyone with more information as needed. Edited by BarrySimon615, 04 February 2019 - 03:52 PM.